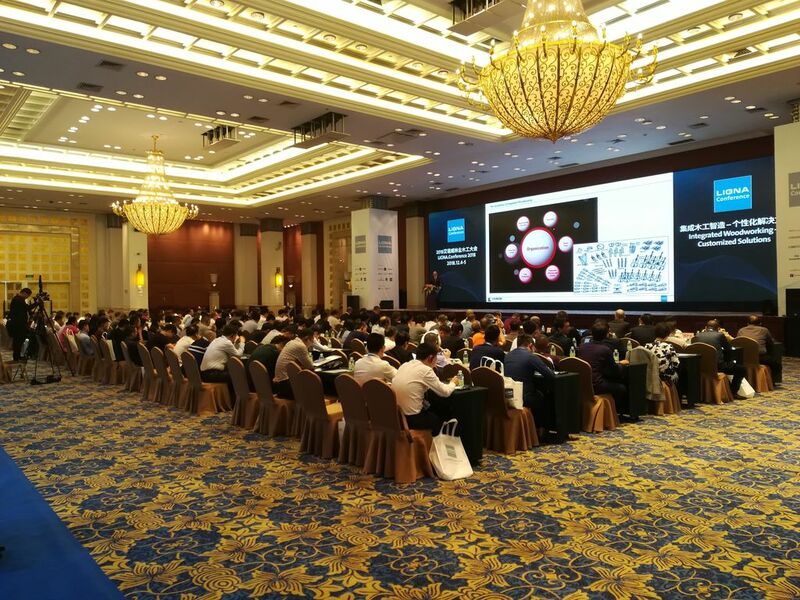 The 2-day Ligna Conference 2018 opened yesterday, December 4, at the splendid Dong Fang Hotel in Guangzhou, China, where over 200 wood industry operators will attend sessions chaired by accredited speakers on the theme of "Integrated Woodworking - Customized Solutions". SCM, as Gold Sponsor of this event, met with the Chinese press corps presenting the latest technological innovations to be introduced at Ligna. 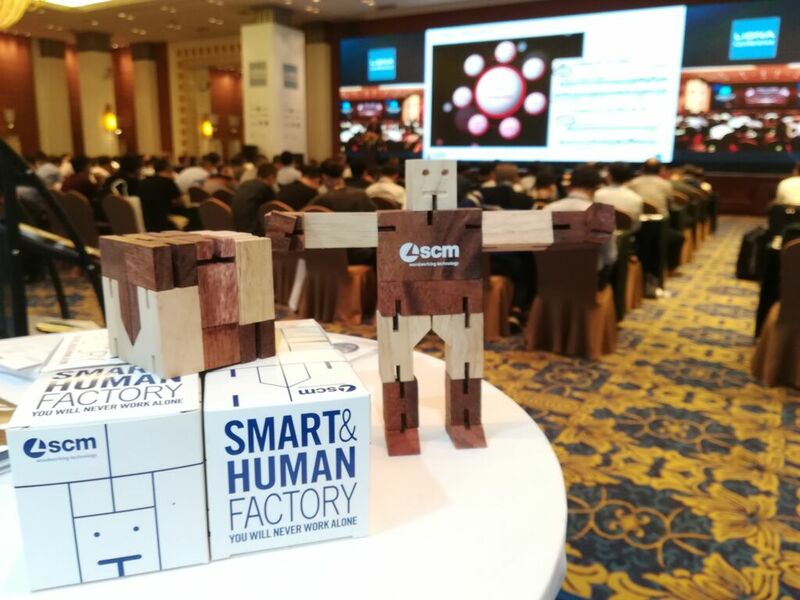 Specifically, Gian Luca Fariselli, SCM Corporate Communications Director, illustrated the new SCM production model that revolutionises Smart Manufacturing by introducing the Smart&Human Factory concept, based on digital and automation systems that facilitate advanced human-machine interaction and complete, 360-degree control of the entire production flow. 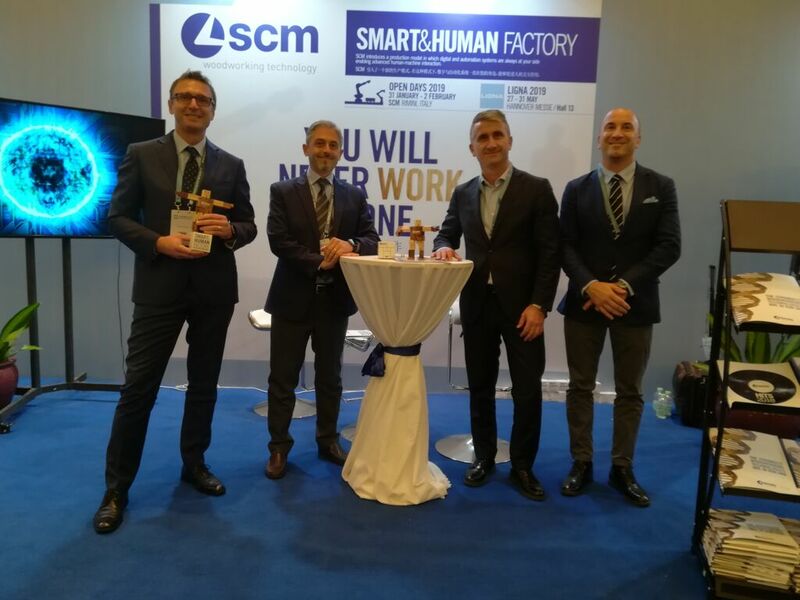 A model based on highly innovative, flexible, modular and easy-to-reconfigure systems, designed to meet more effectively and quickly to the growing needs for mass customization, and which SCM will introduce in a preview during its Open Days at the end of January 2019 in Rimini and later at Hall 13 in Hanover. 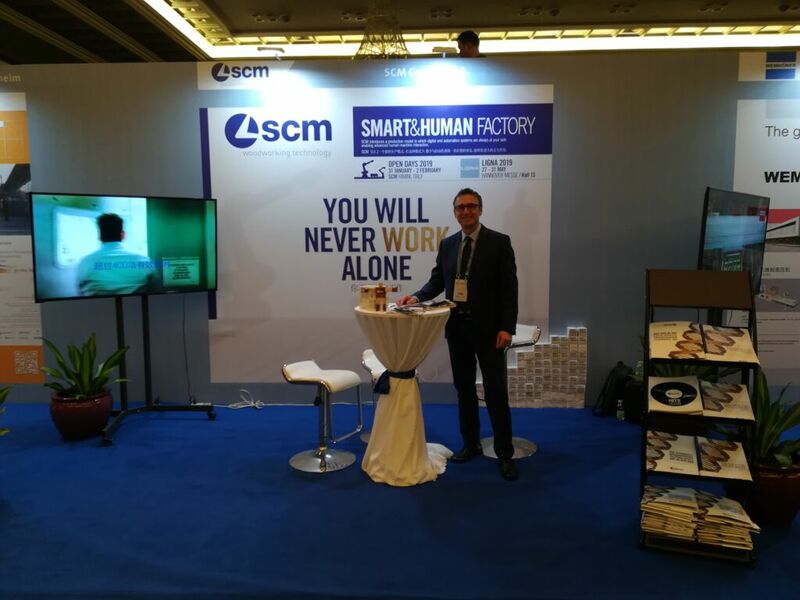 In addition, Damiano Bragié, SCM China Country Manager, confirmed SCM’s commitment to continue investing in the Chinese market -- where it is the second-ranking woodworking machinery player -- by focusing on this very new production model introduced at Ligna and later distributing it throughout China, counting on its ability to render automation much more “friendly” when machining panels, with the easy reconfiguration of the production process as often and as fast as required for machining “order to production” batches, which are becoming smaller and smaller.